In this Dec. 1, 2016 file photo, Larry King arrives at Trump Tower in New York. King says he battled lung cancer this summer but appears to have the disease at bay. 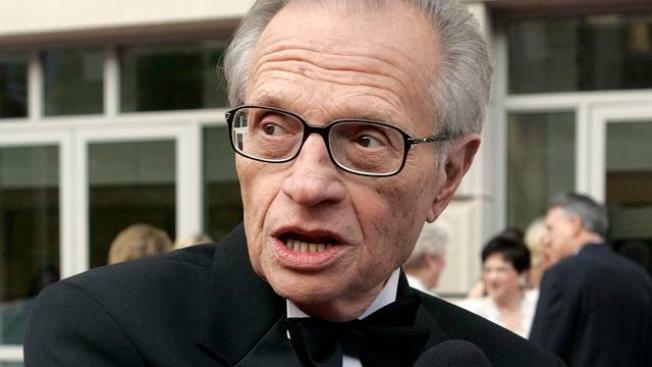 Veteran broadcaster Larry King says he battled lung cancer this summer but appears to have the disease at bay. The former CNN host, who is 83, told Us Weekly that a spot on his lung was noticed this summer during a routine check-up. He said he had surgery in July. The tumor was malignant but King said it was found at such an early stage that his doctor told him he was lucky. King has had health issues in the past, including a heart attack and prostate cancer. He was a smoker but gave it up after his heart attack in the 1980s. King keeps working. He told the magazine that his secret wish is to do six months on Broadway, telling stories and taking audience questions.